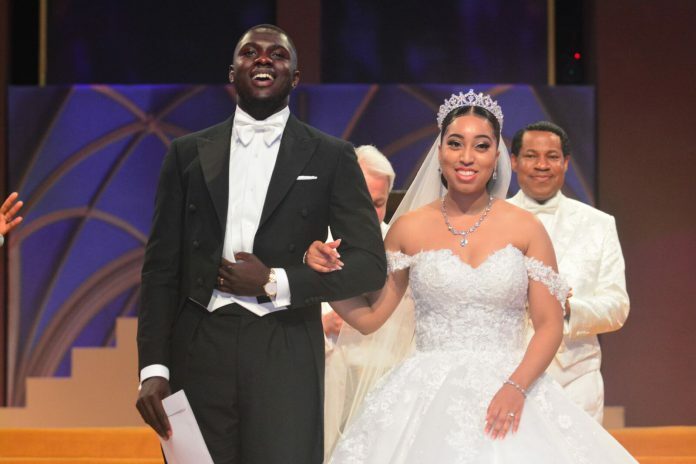 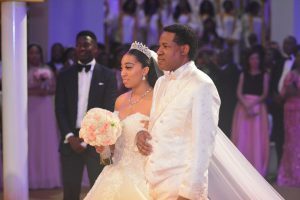 Sharon Carissa Oyakhilome and Phillip Frimpong, the inspiring couple were joined in holy matrimony by the world renowned minister, Benny Hinn. 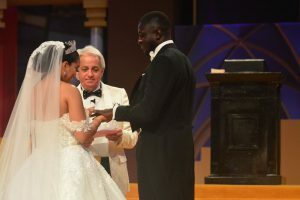 The ceremony was a bountiful and blissful experience of faith and love that inspired all who attended. 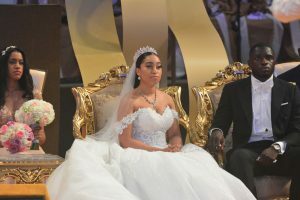 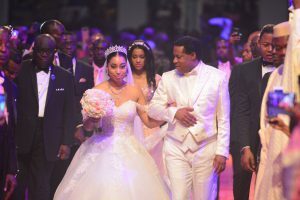 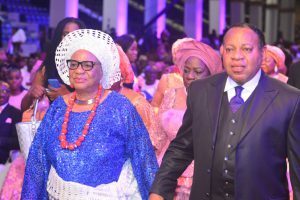 The bride’s father, Pastor Chris gave his beloved daughter’s hand in marriage and watched on with immense pride as the lovely couple exchanged their vows. 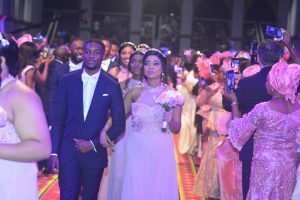 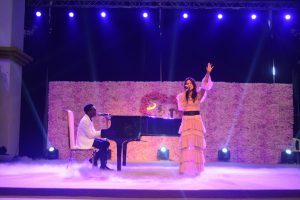 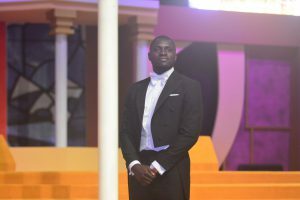 The wedding took place at the LoveWorld Arena, Lekki Church. Enjoy these beautiful moments from the ceremony in the featured picture gallery below. 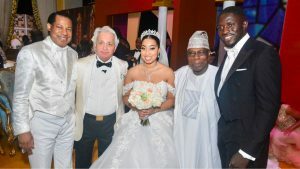 The bride and groom looked simply dashing. 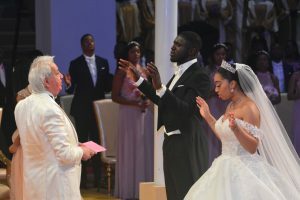 The couple officially married an inspired faith and love to all those around them.It was a spiritual union inspired the thousands of guests present before God. 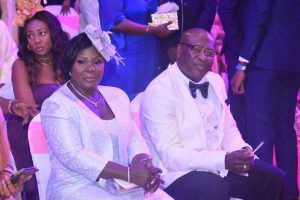 The room emanated with spirituality and faith as these two highly esteemed ministers graced the day of love. 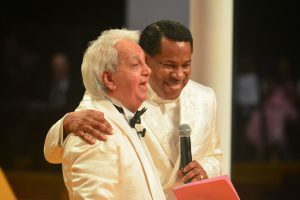 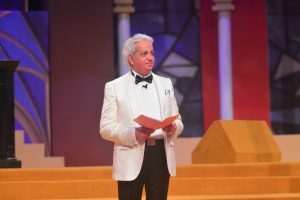 Benny Hinn moved the crowd with his powerful blessings. 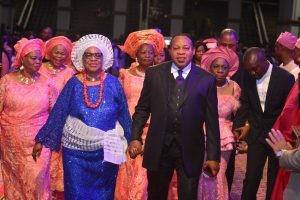 The man of God was immensely proud. 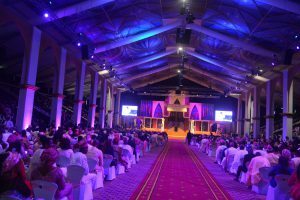 Thousands of guest filled the LoveWold Arena. 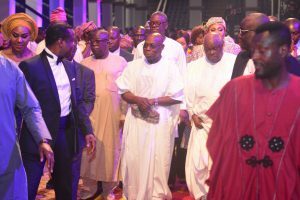 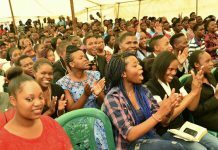 Previous articleThere is Hope for Nigeria “If We Anchor on God”- Pastor Chris Oyakhilome. 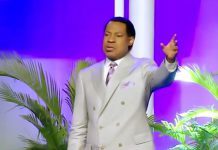 Next articleThe IPPC Event: Pastor Chris and His Impactful Week of Inspirational Conferences.